Europe sees a large number of tourists from across the world each year. This makes the Schengen visa one of the most popular tourist visas. Read on to find out more about this visa and how to apply for it. Europe is one of the most popular tourist destinations in the world. European countries like France, Spain, Germany, Poland etc. are steeped in history and offer a number of unique cultural experiences. Until the late 20th century, one needed individual visas when traveling to any of these countries. However, today, tourists can travel to 26 European countries with a single visa. This visa is called the Schengen visa. In 1985, France, Germany, Luxemburg, Belgium, and the Netherlands signed an agreement to allow free movement between the countries. This agreement allowed the citizens of these countries to visit other countries without a visa and allowed international tourists to travel to these countries with a single visa. The agreement was signed in Schengen and is known as the Schengen visa and the area covered by the agreement was known as the Schengen area. There are a number of different types of Schengen visas. This visa allows a person to visit and stay in any one place within the Schengen area for up to 90 days at a stretch in six months. USVs can be categorized as ‘A’ category and ‘C’ category visas. This is also known as Airport Transit Visa. This visa allows the holder to transit through the airport of a Schengen country. The holder is not permitted to exit the airport. This type of visa is needed in cases where people traveling between non-Schengen countries need to change flights in a Schengen country airport. This is a short-term visa that allows the holder to stay in a Schengen country for a period of time determined by the validity of the visa. Short term visas can be further categorized as single entry visas, double entry visas and multiple entry visas. As the name suggest the difference between these visas is the number of times the visa holder can enter the Schengen area. Tourists with a single entry visa cannot reenter the Schengen area once they have left it even if their visa has not yet expired. Multiple entry visas allow the holder to travel between Schengen and non-Schengen areas freely as long as their visa is valid. This type of visa is usually issued only in humanitarian cases. It allows the visa holder to visit only the country at which the visa was applied for or the countries specifically mentioned on the visa. 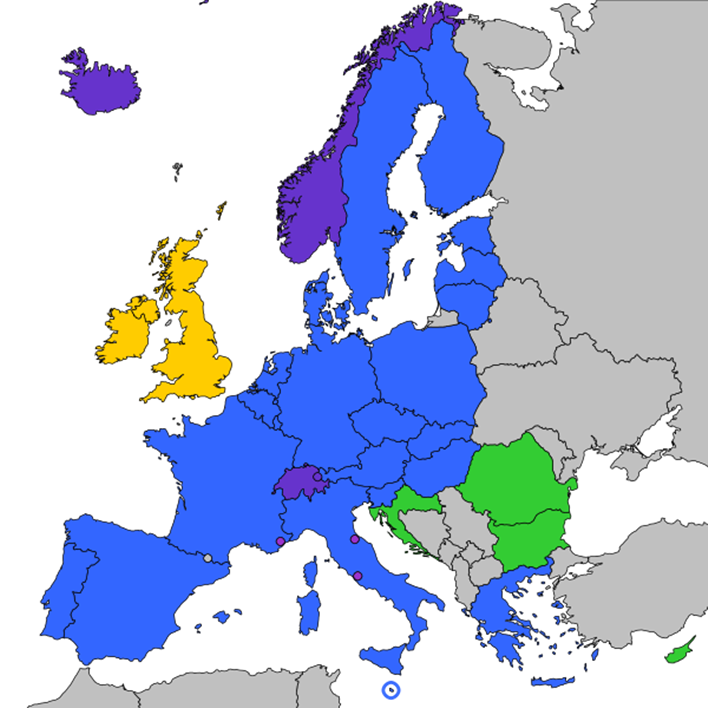 The holder cannot go to any of the other Schengen countries. For example, A person who has been issued a limited territorial validity visa from Germany can use the visa only to stay in Germany. He or she cannot visit any of the other Schengen countries. People who are studying, working or residing in a Schengen country can apply for national visas. This visa can also be categorized as single entry visas and multiple entry visas. National visas may be issued to students, professionals working in the Schengen area, sportsmen, artists, and researchers. It may also be given to individuals who cannot leave the Schengen area because of an emergency medical condition. What is the Difference Between the Schengen Visa Validity and Duration of Stay? Aside of a multiple-entry visa, which enables you to remain in the Schengen area for a maximum of 90 days within a 180 days period, the validity of your single-entry visa or double-entry visa depends on the embassy. The embassy appoints the number of days you are permitted to stay in any of the Schengen countries, as well as the first date the person can enter the Schengen area and the last date by which he or she should leave the area. The former is termed as ‘duration of stay’ while the latter is known as ‘visa validity’. Duration of stay is usually less than the visa validity. For example, the duration of stay permitted may be 10 days and the visa validity may be from January 1 to January 20. This allows the visa holder to stay in the Schengen area for ten days between January 1 and January 20. If the person arrives on January 1st, he will have to leave by January 10th even though his visa is still valid. At the same time, if he arrives on January 15th, he will have to leave by January 20th even though he has not been in the Schengen region for ten days. If this were a double entry visa, the individual could make two trips to the Schengen area while the visa was valid but the duration for both trips must not be more than 10 days. The application, photograph and supporting documents must be submitted together at the embassy. Tourist visas typically take 72 hours to be processed but in some cases, it may take as long as 21 days. Where to submit the Schengen Visa Application? Though this visa allows the holder to travel to any of the Schengen countries, it is important to submit the visa application at the right embassy. If the applicant is traveling to a Schengen country, the application must be submitted at that particular’s country’s embassy/consulate. If two or more Schengen countries are being visited, the application may be submitted at the embassy/consulate of the first country being visited or the country at which the maximum time will be spent. A non-refundable visa processing fee must be paid when submitting the visa application. This visa fee is determined largely by the type of visa applied for and the age of the applicant. Children above the age of 12 years and adults need to pay a fee of 60 EUR for airport transit visas and visas that are valid for less than 90 days. In the case of long-stay visas that are valid for more than 90 days, a fee of 90 EUR is payable. Children between the ages of 6 to 12 years need to pay a visa fee of 35 EUR. There is no visa fee payable for children below the age of 6 years. A visa fee is also exempt in cases where the applicant is part of a study group or training group, the applicant is a researcher from a third world country or if the applicant is a representative of a non-profit organization and travelling to the Schengen region to participate in a seminar, conference etc. One of the most common reasons for the denial of the visa is improper photographs. Hence, one must pay attention to the specifications of the passport photograph to be submitted along with the application. Here are a few pointers.